The golf courses of the Garden Route (which stretches from Albertinia in the Western Cape to Storms River in the Eastern Cape) are set against spectacular backdrops that include pristine mountains and the wild Indian Ocean. This unique stretch of South Africa enjoys a wonderfully moderate climate, making it the ideal golfing holiday destination for the whole family. Combining a luxurious stay in the Garden Route with a round or more of golf is just one of the many reasons to visit here. The area is also home to many animal sanctuaries, boasts a variety of adventure sports (including bungy jumping and ziplining over waterfalls), and is a hotspot for watersports. Click on the course you wish to visit on the Garden Route map or select from the full list below, to view additional information about the golf course and for listings of all lodges listed in the relevant area. The Garden Route is characterised by its incredible mountains, forests, and beaches; as well as for the charming towns dotted along its 200 kilometres. 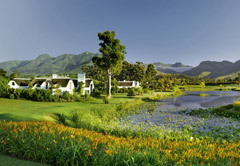 George is the largest city on the Garden Route and is home to the world-renowned Fancourt Country Club Estate. This estate was designed by Gary Player and is consistently ranked in the top 10 of South Africa's golf courses. The luxurious Pinnacle Point Golf Course in Mossel Bay promises unrivalled seascapes from the tops of the coastal cliffs of the Garden Route, complemented by the bracing sea air. This course was selected as one of the world's Top 10 Best New Courses for 2006 - the first time, in the history of golf, that a South African golf course was selected. The Simola Golf Course was the first along the Garden Route to be designed by the respected Jack Nicklaus, and overlooks the scenic little town of Knysna. Caddies are available at most golf courses. Exceptions are on cart-only golfing estates and at certain golf and housing estates. Golf carts are limited on many of the courses in Garden Route and prior booking is advised. 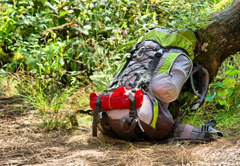 Tourists staying in the Garden Route to enjoy their favourite past time might want to take in some of the more popular attractions in the area. 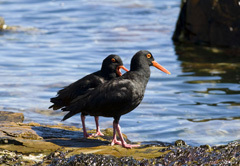 See the best of the Garden Route by staying in George, Knysna, Mossel Bay, Plettenberg Bay, Wilderness. Find accommodation on or near (within 100 metres) one of Garden Route's prestigious golf courses and enjoy your favourite past time while on holiday in our beautiful country. Accommodation ranges from comfortable to luxury and from self-catering to B&B or fully-catered.